There seems to be a trend developing. Just the other day, Miss Heather reported on a potentially illegal hostel operating (or about to operate) out of a former glove factory at 300 Graham Avenue. A few minutes ago, I received a press release from Assemblyman Joe Lentol’s office saying that another illegal hostel – this one operating at 112 North 6th Street – had been closed down and vacated by the Department of Buildings. According to Lentol’s office, the six apartments in the building were being used to house up to 16 “guests” each – for a potential capacity of 192 people. A few things to note here. First, this is not a new trend. There have been reports of condos and apartments operating as hostels, B&Bs, hotels, etc. for a few years now. It is a sign of the times, as owners find themselves unable to sell condos. But given the level of rents in the neighborhood, it is also a sign of greed. Second, there is a reason why DOB should be cracking down on this. Apartments are not built to the same code as transient hotels. Hotels require more fire protection and, importantly, more and better marked egress. Putting 192 transient residents into a non-fireproof building designed for 20 or 30 residents at the most is a recipe for disaster. Third, having spent many an afternoon at Sweetwater Tavern watching the “conversion” of this building from a two-story commercial structure to it’s current state, the fact that there something fishy going on here is the least surprising news in the neighborhood. (The most surprising news is that this building is still standing.) A cursory look at the DOB records shows that this building has no CO, and that the conversion (started in 1998) wasn’t even for residential use. In other words, it is not legal for anyone to be living here. UPDATE: Miss Heather has a lot more details, including screen shots of the advertising for the hostel (note that the picture they use to advertise themselves is not 112 North 6th Street). Apparently, they’re still open! Check out http://www.zip112.com – you can even call and make reservations. I actually live here and was evacuated on Friday. I’m pretty ignorant about this whole situation, whereas you seem quite knowledgeable. I wanted to ask, what is a “CO”? And, how long do these situations usually take to resolve? Do most people end up going back home or finding a new place to live? CO = Certificate of Occupancy, which is the document that states what the legal uses of a building are. This building doesn’t have one (which isn’t rare or even necessarily a problem). The most recent DOB applications (circa 1998) were for a commercial building, not residential use. The timing depends on a lot of factors – mainly, is the building up to residential code. If it was built to residential code but not permitted as such, it could be a relatively short process. If it has to be brought up to residential code, that will take much longer. 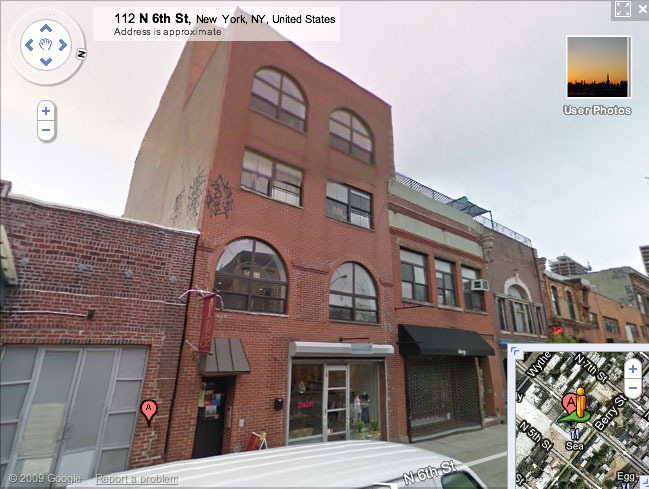 Others have been through this (search on this site for “475 Kent”, e.g.). Likewise, the “hostel” use would require a different code – transient use vs. permanent multi-family use. Generally, transient imposes more onerous restrictions on things like egress and fire suppression. The idea being that a permanent apartment resident is likely to know where exits are whereas a transient resident isn’t, and that a transient use probably requires evacuating more people than a multi-family residential use. Ok people, help me out here please! I’ve made a booking to stay in this hostel for a couple of nights in June. I’ve paid a 5% deposit and was actually looking forward to the stay… What’s going on? ?